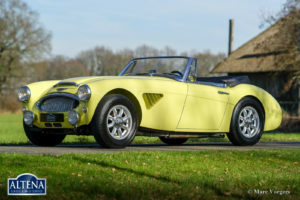 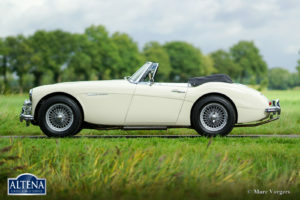 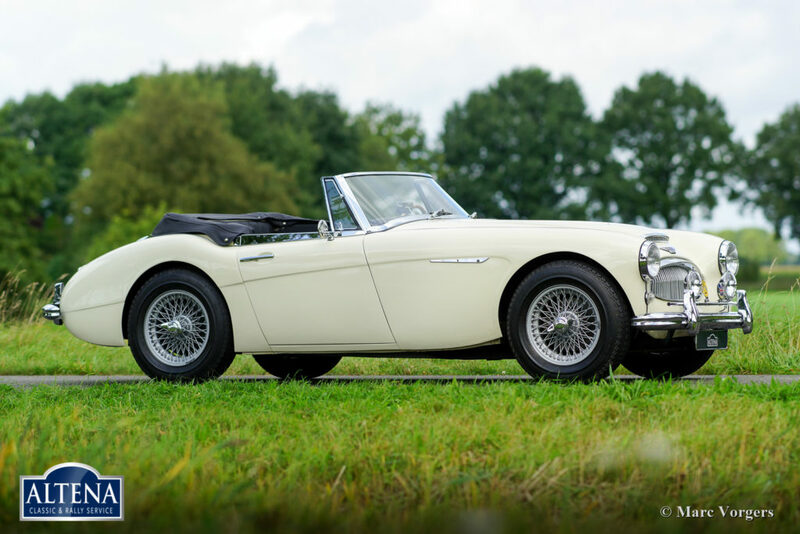 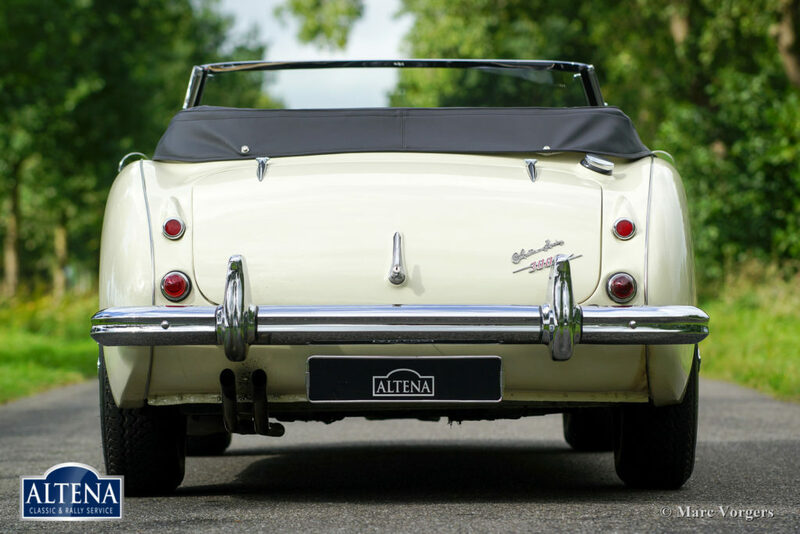 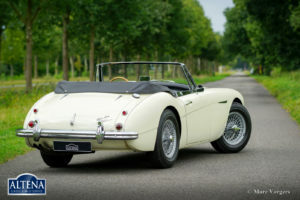 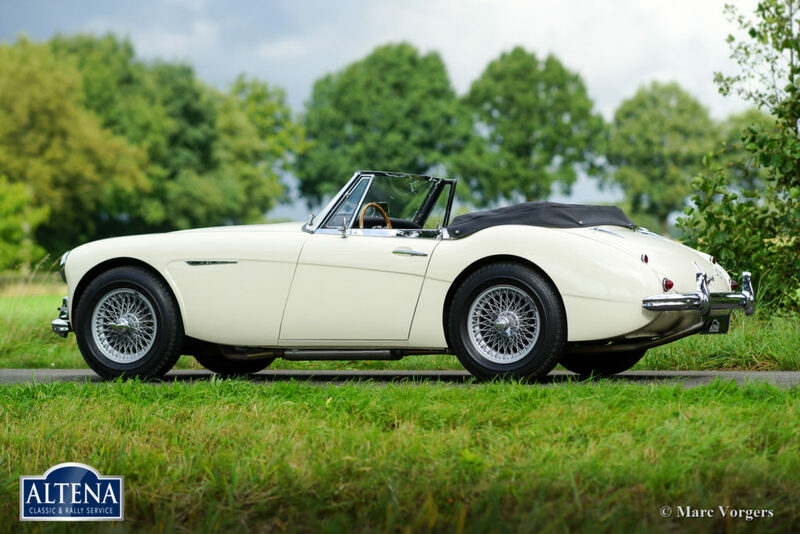 Austin Healey 3000 Mk IIa (convertible), year 1962. 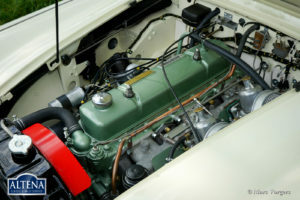 Chassis number HBJ7L/209XX. 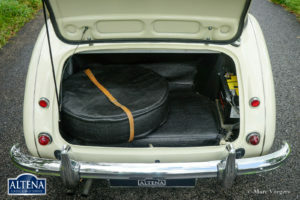 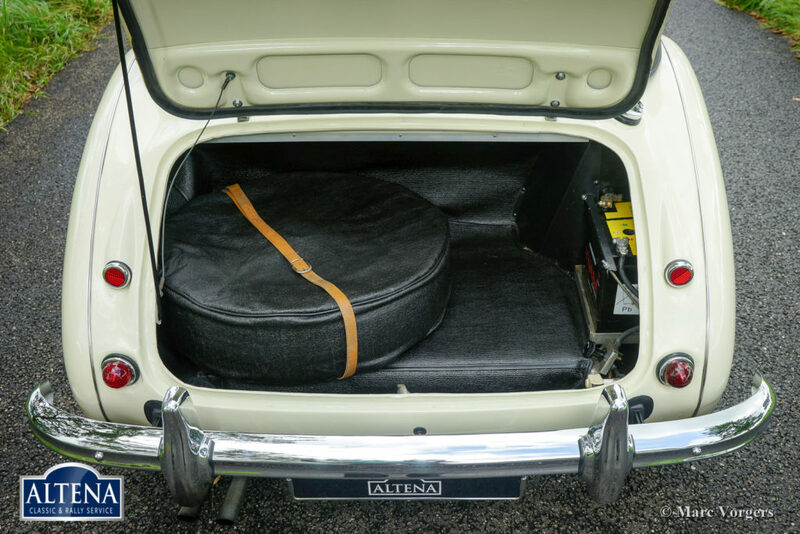 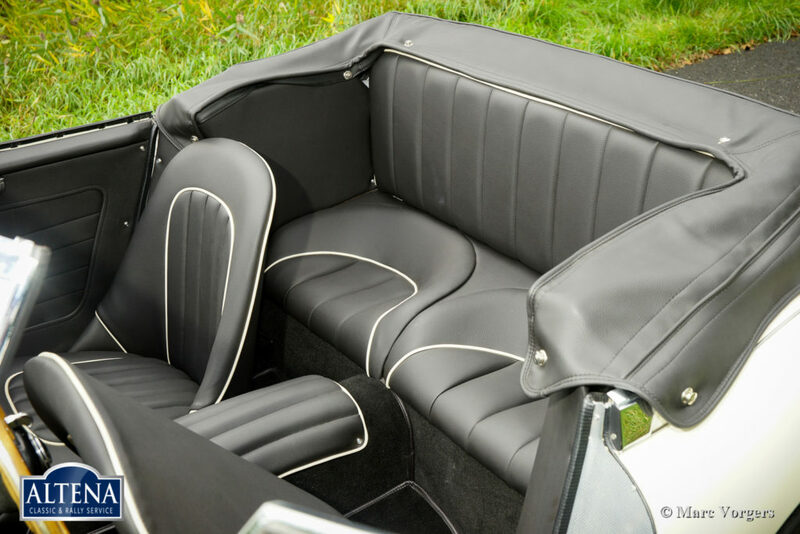 Colour Old English White with a black leather interior trimmed with white piping and black carpet. Black vinyl soft-top, hood cover and tonneau-cover. 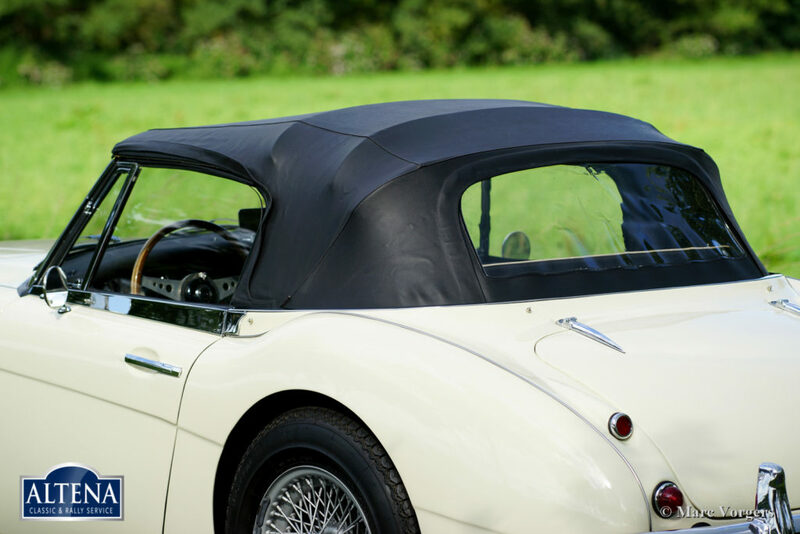 This gorgeous ‘Big Healey’ was extensively restored in the past, the automobile is in excellent to superb condition! 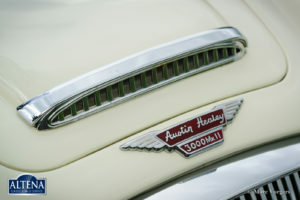 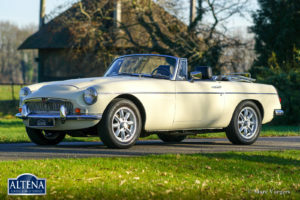 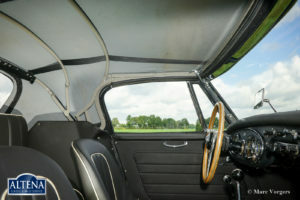 The bodywork shows a beautiful panel-fit, excellent paintwork, and the interior and hood are in pristine condition. 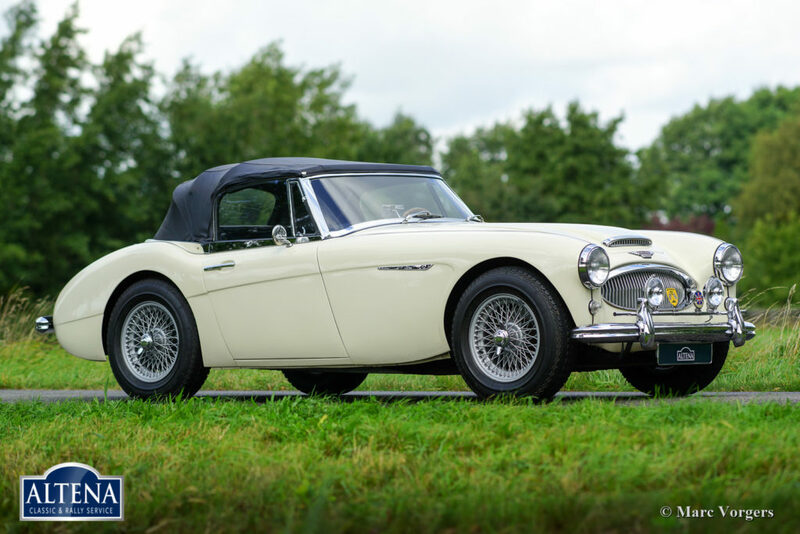 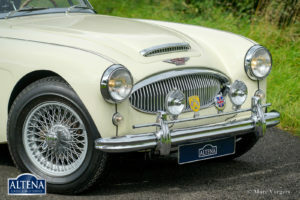 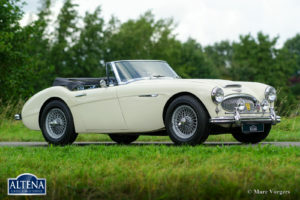 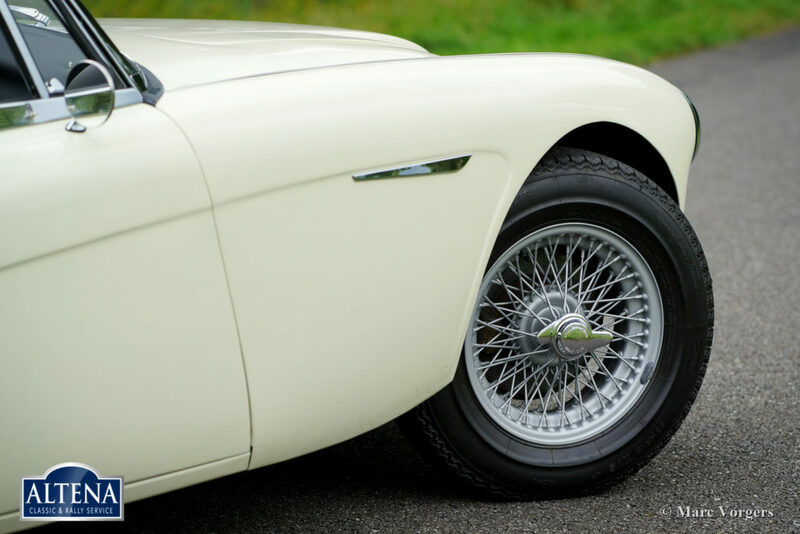 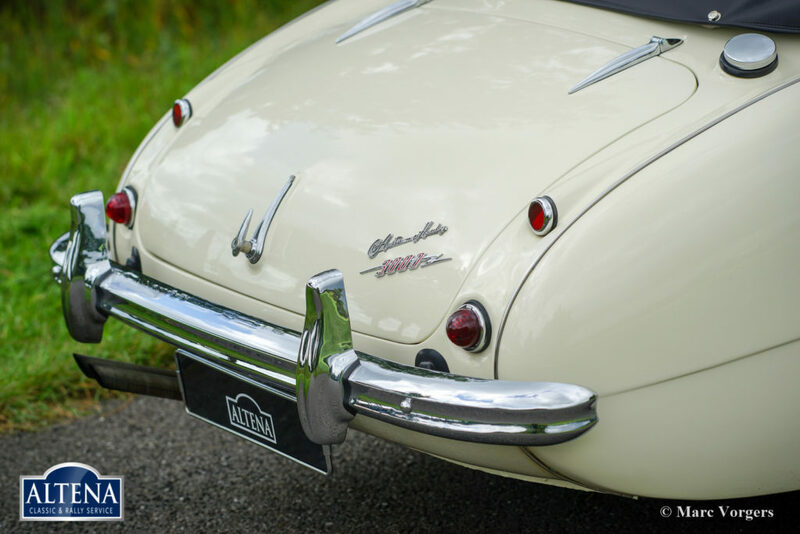 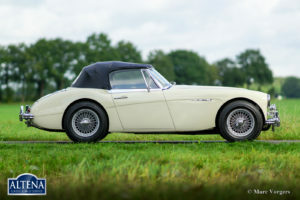 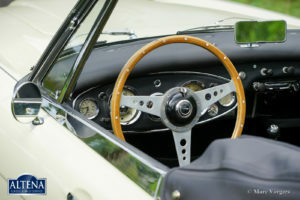 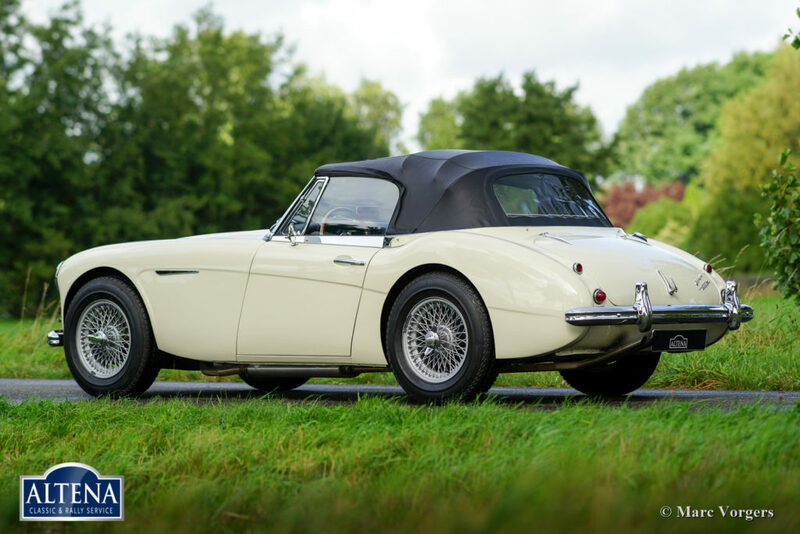 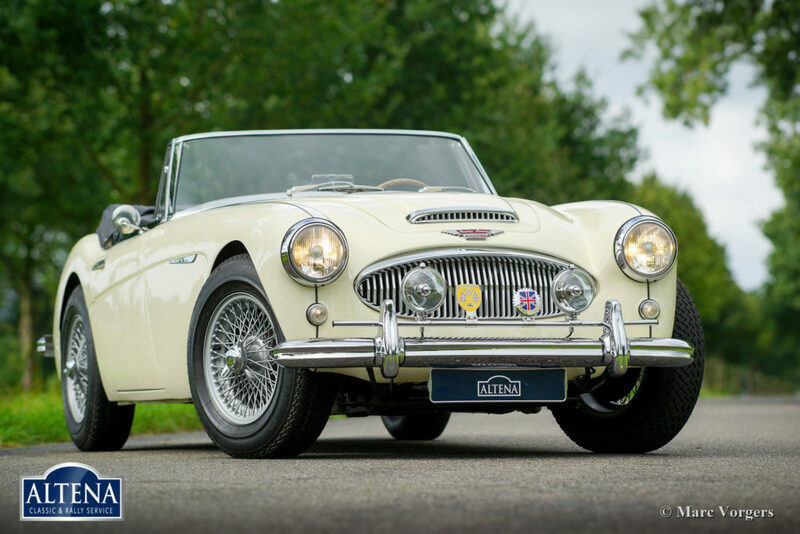 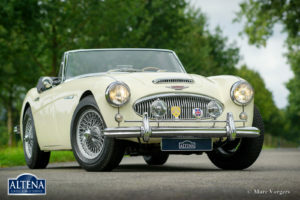 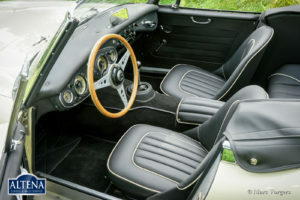 This Austin Healey is fitted with overdrive, silver painted wire wheels, a badge-bar with additional spot-lamps and badges and an alternator (built in the original dynamo housing). 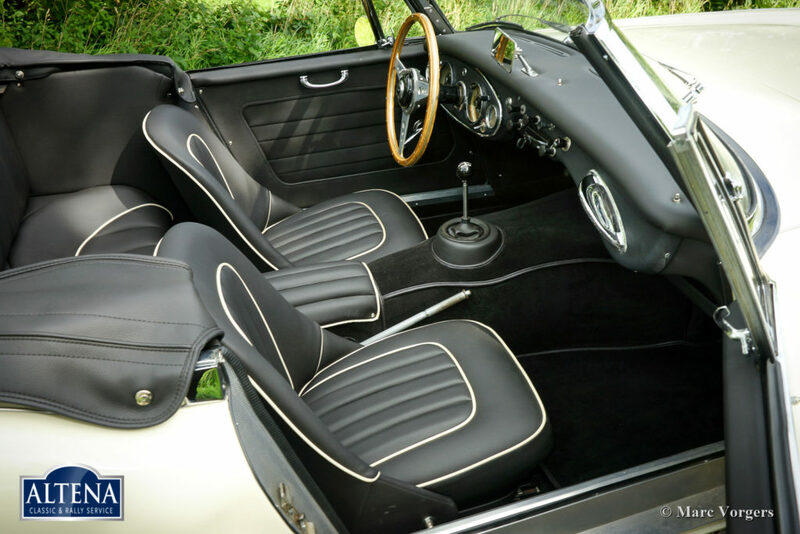 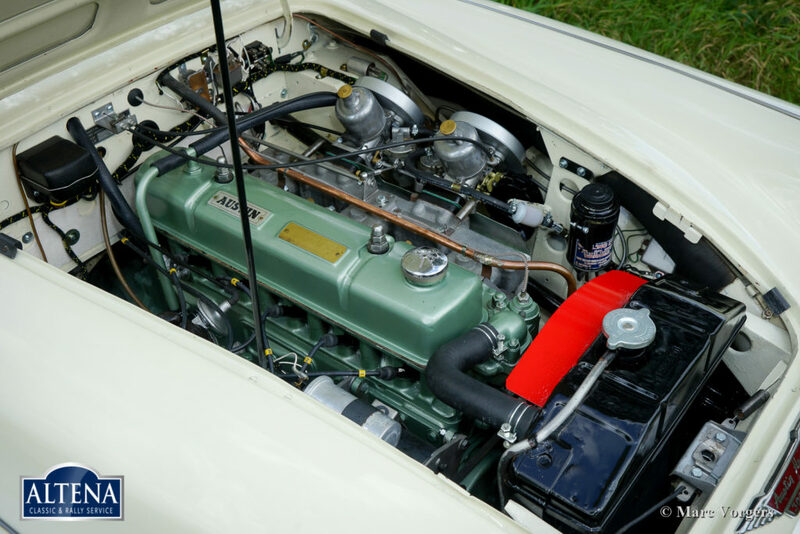 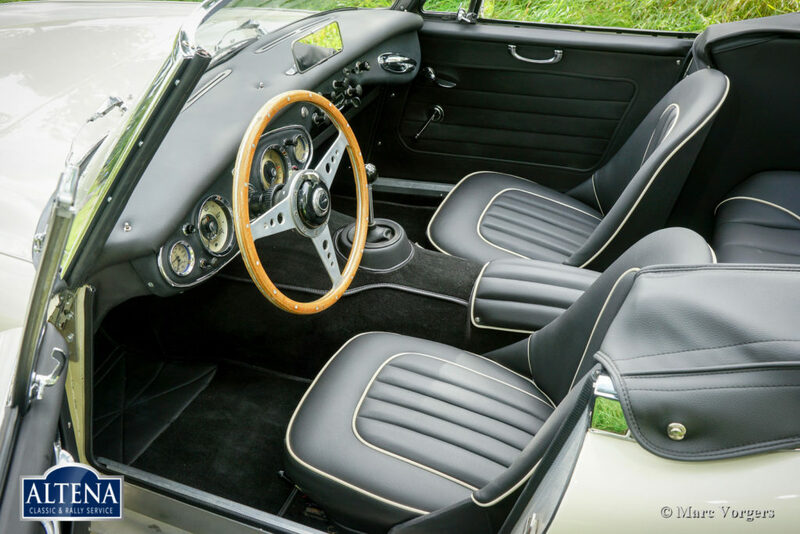 This is a wonderful and very clean ‘Big Healey’ with a perfectly detailed engine room! 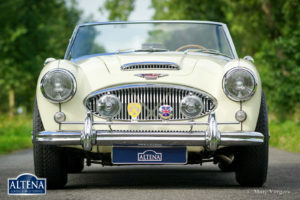 This is a perfectly driving ‘Big Healey’ in excellent condition!